Historian John Charles Chasteen provides a brief global history of cannabis in his new book, Getting High: Marijuana Through the Ages. Best known for his studies in Latin American history, the University of North Carolina historian retraces the history of cannabis from today’s legalization era back to Neolithic times. Along the way he unearths broad patterns of use and cultivation that carried the crop around the world. One mystery is the plant’s apparent transformation from common hemp into psychoactive “mariguana,” discussed in the following excerpt for Leafly. Getting High will be published later this month by Rowman & Littlefield. * * An update: As Leafly readers have noted, the development of psychoactive cannabis wasn’t a straight-line narrative that began in Mexico. In our edit of the book excerpt, we should have made that clear. 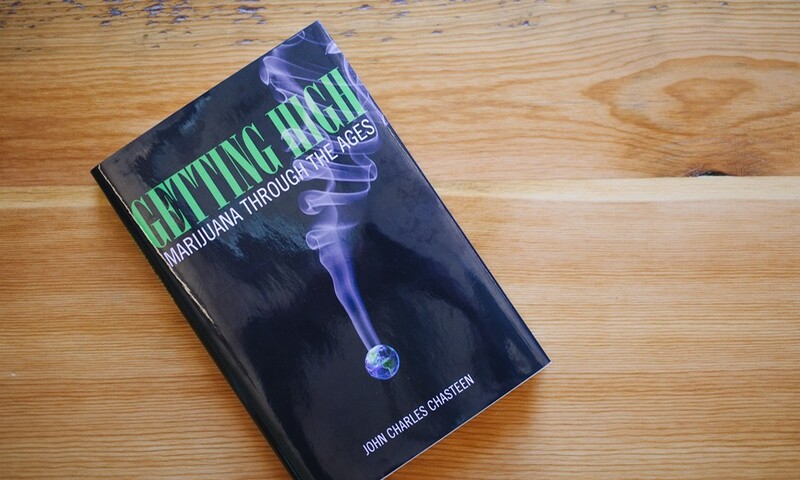 In other Getting High chapters, author John Charles Chasteen traces the plant’s psychoactive history back to the prehistoric Eurasian steppes, its use in ancient India, and its spread throughout Europe and Africa. Where did psychoactive marijuana come from? We know marijuana came to the United States from Mexico in the early 1900s. After months spent chasing Pancho Villa and his men, American soldiers returned home and brought with them packets of grifo, mildly psychoactive Mexican cannabis. At the same time, Mexican laborers brought marijuana with them as they migrated north. But how did it get to Mexico? It’s not an easy mystery to unlock. The entirety of knowledge about the history of cannabis in the Western Hemisphere prior to 1850 would probably fit on a couple sheets of paper. By piecing together the evidence we can see that the story went something like this. In the 1530s, one of the Spaniards led by Hernan Cortes set his forced indigenous laborers to planting Spanish hemp in the highlands around Mexico City. The historical record is sparse, but there are scattered mentions of hemp production on a modest scale through the 1760s. In the 1770s, the Spanish Crown launched a campaign to foment hemp production in Mexico. This met with indifferent success. By the 1770s, though, another kind of production had quietly taken off. A priest of the Central Highlands by the name of Jose Ramirez learned that indigenous people not far from Mexico City were consuming preparations that they called pipiltzintzintlis, concoctions that gave them access to the spirit world. Fearing pagan idolatry, the priest acquired a bit of the mysterious pipiltzintzlis and found to his amazement that, as far as he could see, it was simply the leaves and seeds of Cannabis sativa, or European hemp. The hemp that European colonizers introduced throughout their North and South American colonies had never been used to get high. Although commercial hemp production never had much success in colonial Mexico, indigenous people continued to cultivate the plant for something other than fiber. When officials seeking cordage and sailcloth for the Spanish Empire asked Ramirez where they could find hemp seeds in Mexico, Ramirez told them. Go to the marketplace, he said, and ask for pipiltzintzintlis. Look for the indigenous herbolarias, the herb dealers. Religious specialists among the indigenous people had used psychoactive substances for many centuries before the arrival of the Spanish. The Catholic Church condemned the use of pipiltzintzintlis, peyote, and teonanacatl because they represented the competition, so to speak–access to a religious experience outside the strict confines of the church. Therefore, Mexico’s spiritual users of psychoactive cannabis kept a low profile. The question remains: How did hemp develop into psychoactive pipiltzintzintlis? Apparently, between the 1530s and the 1780s, when commercial hemp production was fizzling, there nonetheless had been subsistence cultivation of Cannabis sativa, a few plants here and there in rural kitchen gardens. Mexico is one of the world’s hot spots of plant domestication. Corn, a Mexican creation, is a prime example. Domestic corn constitutes a triumph of early bio-engineering, entirely transformed from its wild progenitors. These botanical wizards also had experience with hallucinogenic flora that gave privileged access to the spirit world. Anthropologists believe that the New World has so many more known hallucinogens than the Old–roughly ten times as many–not because it was providentially endowed with more, but because New World people were better at identifying and cultivating them. They gained this ability, hypothetically, by migrating through so many different climate zones to populate the Americas. In view of all this, we shouldn’t be surprised if ten generations of indigenous Mexican botanists, aided by the blistering tropical sun, were able to discover and cultivate the psychoactive potential in European hemp. Oddly, Ramirez’s discovery of pipiltzintzintlis was soon forgotten. Not until the 1840s does one find further evidence that marijuana existed in Mexico. And then, there it is: In 1846, the Mexican Academy of Pharmacy published a national pharmacopeia that registered the existence of two separate Mexican strains of cannabis: sativa, listed for its “emulsive seed,” and “Rosa Maria,” used for its “narcotic leaves.” Another name for Rosa Maria was a word that first appearance in print in the pages of the 1846 pharmacopeia: mariguana. Within the next decade, a pharmacist of the University of Guadalajara mentioned that Rosa Maria was smoked in cigarettes, the first mention of that practice. (Pipiltzintzintlis seems to have been eaten. It was, in a sense, the original edible.) Further references followed in the 1860s and 1870s, as the word marihuana gradually became familiar to readers of Mexican newspapers. Marijuana was very far from being a universal of Mexican life, however. Little known in the cities before 1850, it grew widely in the countryside, and the smokers of it were poor country people and mestizos, people in the not-Indian, not-European category of cultural/racial in-between-ness by which Mexicans increasingly defined their national sense of self. Though not illegal, smoking Rosa Maria was considered un-Catholic. The innocent-sounding name was a reminder of the need to blow some smoke, so to speak, when mentioning the drug. The young rural men who gathered to pass a marijuana cigarette from hand to hand were not doing anything religious, not divining the future or gaining access to the spirit world. They were using marijuana more as a cheap substitute for pulque, a fermented beverage made from the maguey plant. And yet, the idea that marijuana was a “devil weed,” the idea that it was a bit pagan, that it produced madness and unholy violence–that had not completely vanished, either. Then populations mixed. Beginning in the 1860s, national upheaval and war, followed by a period of rapid economic growth, stirred things up in rural Mexico. Soldiers and workers moved around the country. Along the way migrants passed through growing towns. These travelers were young men with zero years of schooling, jostled loose from tiny, traditional villages, now far from home, willing to try their hands at anything. They landed in the army, in labor camps, in rough neighborhoods where homeless drifters go to spend the night. Often they got in trouble for fighting. It was a commonplace belief that marihuana, like pulque and tequila, made them do it. Prisons and military barracks were the two places most associated with marijuana smoking in Mexico by 1900. We should be clear about what that means. Marijuana had not turned these conscripts into soldiers, obviously, and neither had it turned them into prisoners. Rather, prisons and barracks created the ideal conditions for marijuana to substitute for pulque. Compared with alcoholic drinks, marijuana was much more easily smuggled and consumed. Prisons and barracks were also places of tough masculine society where the “devil weed” reputation could even be a plus. So “prisoner” and “soldier” were the most frequently mentioned identities of early marijuana users in the Mexican press. Other descriptors applied in print were lower class, degenerate, thieves, Indians, social dregs, and revolutionaries–along with various references to women, such as herbolarias, prostitutes, and soldaderas. The denizens of Mexico City’s underworld were said to loiter at cheap cafes smoking grifos and drinking coffee laced with cane liquor. Finally, there were also some middle-class dandies who dabbled with marijuana. A group of young dandies was said to meet at night in the shadowy cloisters of an abandoned convent, decorated with symbols of occult spiritualism, to smoke marijuana and read poetry. Some women smoked marijuana, but press reports provide good evidence that men outnumbered them twenty to one. Women appear in the press reports much more often as suppliers than users. Herbolarias were not supposed to sell marijuana, but they remained the chief source of it for the urban population. Soldaderas, who traveled with soldiers to cook for them and take care of them in various ways, could be described as prostitutes or as soldiers’ sweethearts, overlapping categories at the time. Getting marijuana from the herbolaria and sneaking it to her man in a jail or a prison-like barracks was a routine chore for such a woman, who may never have smoked it herself. Mexican press accounts from the turn of the twentieth century present marijuana as a substance that turns smokers into homicidal maniacs after exactly three puffs. Here, in article after article, we find the origins of the “reefer madness” image later publicized in the United States by Harry Anslinger’s Federal Bureau of Narcotics. It’s an open question how much this “social script” influenced the behavior of the young men who were smoking the stuff. Did they feel themselves possessed by a devilish influence that made (or allowed) them to run amok? Press descriptions of fights under the influence of marijuana don’t differ much, in fact, from descriptions of similar fights under the influence of drink. Mention of alcohol in such accounts was twenty to a hundred times more common. And yet the Mexican press had absolutely nothing good to say about marijuana, whereas alcohol was a different, more complex story. Alcohol was the active ingredient of lower-class pulque, but also of champagne and cognac, symbols of European chic in a country whose better-off citizens yearned for Europe. Only a smattering of bohemian middle-class Mexicans dabbled with marijuana, but all social classes drank. Immigrant families of German brewers were beginning to produce excellent beer in Mexico. Consequently, grisly murders, described with lurid detail in the yellow press, could not define the entire social meaning of alcohol, only its lowlife pathology, for the Mexican reading public. But they could, and did, define the entire meaning of marijuana. and marijuana’s indigenous image only made matters more embarrassing for the Mexican middle class, by reminding them of a Mexico that they preferred to forget. All this gives us a much better picture of the backstory of marijuana smoking in the United States. The U.S.-built railroads that were stirring up the Mexican countryside also hired many Mexican workers and carried them north to the U.S. border. U.S. mining and ranching interests in northern Mexico wanted more strong young men with zero years of schooling, and soon U.S. labor contractors were signing them up to repair track or pick peaches north of the border. Nobody but the young men knew they smoked marijuana, until they got into fights…and the rest is history. Now we can understand why Pancho Villa’s soldiers sang about marijuana, why migrating workers kept the stuff under wraps, and why respectable Mexican Americans had not the slightest interest in defending it. Finally, we can see where Harry Anslinger got the idea of promoting the Marihuana Tax Act of 1937 by showing congressmen pictures of mangled corpses. It had all happened before, to powerful effect, south of the border. All credibility went out the window as I read….”Where did psychoactive marijuana come from? We know marijuana came to the United States from Mexico in the early 1900s.” NO you do not know, the american flag was sewn of hempen fiber. Andrew Jackson traveled to “The orient” to obtain a “Fine Indian Hemp strain” George Washington wrote how upset he was when he returned to his plantation and his Hemp crop had seeded.) I would like a copy of this book, as I have a litter of puppies and their crate gets messy. I could send it back when I am finished and might just help the publisher. You know it is bad when Leafly has to cite their readers as having more information on the topic than the writers who penned the advert and the material advertised. You can sell more books if your adverts do not make you look like you have no idea. 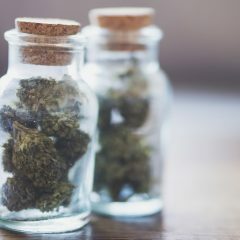 This Venture has failed, I blame Leafly, for not attempting to research the Other Chapters” hiring journalists who care not for the facts regarding Cannabis, their advertisers and I feel terrible for anyone who would take this article to heart, and buy this publication based on the advertisement above. If you want the history of Cannabis see the Marijuana, Hemp, Hash Museum. 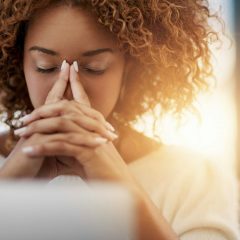 Leafly an editor should have the knowledge to help you weed through this type of fail. @Chris Can you believe we’re still having to clarify that for folks? Sheesh! “I cannot with certainty recollect, whether I saw the India hemp growing when I was last at Mount Vernon; but think it was in the Vineyard; somewhere I hope it was sown, and therefore desire that the Seed may be saved in due season & with as little loss as possible: that, if it be valuable, I may make the most of it.” Augt 17th 1794.
and that “the principle virtue of this species lay in the strength of its narcotic properties”. @J Schnetzer Although you are correct that this article contains a lot of conjecture masquerading as fact, you are unfortunately even more mistaken in your facts than the author of this piece! You really should not come off so pompous and huffy if you don’t even know what the word “psychoactive” means. I urge you to delete your comment. It’s very silly. That mouldy old myth about Washington also has no legs. There are indeed other reasons to separate the males from females at a point in the Industrial Hemp growth cycle. If he was taking it as a drug, you don’t think he would have written about that somewhere? It’s just a bunch of assumptions. We “know” that psychoactive cannabis came to the United States from Mexico? Really, from whence did it originate prior to being in Mexico? It’s not indigenous there either. I hear this theory repeated all the time as if it were a fact and it just doesn’t make sense and I’m not buying it. I’m not saying that cannabis didn’t get to Mexico in the 1800s and that some Mexicans who came to the USA after the revolution may have brought some seeds. Indeed these are the likely facts. But this is NOT the way that cannabis became an influential part of American culture. No way! What was the first sub-culture in the USA to avow cannabis use: Jazz musicians. Where? New Orleans. You know, that port city along the gulf coast, populated by a true melting pot of West Africans, Irish, French, Native American, Spanish, Portuguese and folks from the Caribbean? The voudon tradition was brought here by Haitians, and it stands to reason that the cannabis was brought here by the Jamaicans, who had received it from the Hindus who arrived in the islands as indentured servants after the end of slavery. It makes so much more sense that the Afro-Caribbeans would have brought cannabis seeds directly to Louisiana, where they shared it with the African-Americans they met here. Mexicans and African-Americans do not have a particularly strong history of hanging out together, more often than not, they are rivals. I find it 100% impossible to believe that Mexicans in Texas deserve the credit for turning on black Jazz musicians in Louisiana to weed. Never! This is what happened, according to logic: Cannabis came directly to the Gulf coast by way of the West Indies, where it had been brought by followers of Lord Siva (the patron saint of cannabis). Dreadlocks were worn by these “Nag Babas” due to an origin myth that had Lord Siva descend to earth on the matted tresses of the river Goddess Ganges, from whose name the Jamaican word for weed “ganja” is derived. It’s popularity was most likely spurred upward by the alcohol prohibition of the 1920 – a happy accident. It flourished in the black community, especially among artists and musicians. As the Jazz sub-culture began to include more white artists, cannabis-use spread into ever more mainstream avenues of society. It is the Caribbeans who deserve the credit for starting cannabis culture in the USA and not the Mexicans. I was really shocked to read the following sentence and can’t believe Leafly allowed this statement to be published: “In view of all this, we shouldn’t be surprised if ten generations of indigenous Mexican botanists, aided by the blistering tropical sun, were able to discover and cultivate the psychoactive potential in European hemp.” Nice fantasy but you can’t turn one plant into another plant by careful cultivation! Cannabis Sativa L (industrial, non-psychoactive hemp) and Cannabis Sativa / Cannabis Indica are different plants. All of them with thousands of years of cultivation. No ten generations of Mexicans turned industrial fibre hemp into stony herb. LOL! Sounds like Presidential logic. Only what you believe is objective truth, disregarding research and evidence. Nobody was getting high on that Jamaican shag back then. That’s why they had to smoke so much of it to get a buzz. The laws passed in the 30s targeted Mexicans, because they introduced the drug to the mainstream America. Jamaicans weren’t even a blip on American culture until the 70s. You are wrong. The herb smoked in New Orleans did NOT come here from Mexico. It makes no sense. What do you mean “nobody was getting high on that Jamaican shag back then”? It is also of no consequence that Jamaicans weren’t a blip on American culture until the 70s. So what? I am talking about events that took place in the late 1800s or early 1900s. NOLA which is a gulf city and that received many ships from the West Indies (which includes Jamaica) was indeed bringing people, migrants, ex-slaves, all sorts of people from the West Indies to New Orleans. They already had cannabis there, from India as I attempted to explain above. So it makes sense that the people of African descent who came to this melting pot town, would have shared it with the people of African descent they met here, and who incorporated it into their music scene. New Orleans is definitely the first recorded place in the USA where cannabis use was specifically mentioned as being associated with an underground scene, back in the 1920s. This is a FACT. Make a logical surmise from the evidence that exists. Everything I write here is based on copious hours of research. Where is YOUR evidence? I will be publishing a six part series in Offbeat Magazine detailing my research and evidence starting in November or December of 2018 and I recommend you check it out to improve your understanding and access all my citations and footnotes so that you can see my research and evidence sources for yourself. You are one of those people who thinks you can win debates by attempting to insult people. I rely on facts and logic and knowledge and not beliefs.